I-95 is the road in the middle of this rendering, with the Port Covington plans shown across the bottom. Rendering from Sagamore Development. Clarification: Language used in an earlier version of this column was not intended to accuse Baltimore City Council President Bernard “Jack” Young of any illegal activity when he proposed that Port Covington’s developer make deals with community groups in order to gain approval for the project’s Tax Increment Financing. I-95 is the road in the middle of this rendering from left to right, with the Port Covington plans shown across the bottom. Rendering from Sagamore Development. Rodney Dangerfield’s spirit could be felt at the Baltimore City Council meeting last week to discuss the Port Covington proposal. In the movie, “Back to School,” Rodney Dangerfield played Thornton Melon, an uneducated but self-made millionaire who wants a college degree. In a memorable exchange he got cross-wise with overly priggish professor of business, Phillip Barbay. Under Armour CEO, Kevin Plank, could have used Rodney Dangerfield’s advice, because the self-made billionaire is running into a world of forced deals as he tries to expand his business. Plank is a Maryland native and founder of Under Armour who wants to expand his Baltimore-based company to the blighted industrial area of Port Covington, between the elevated I-95 and Baltimore Harbor. 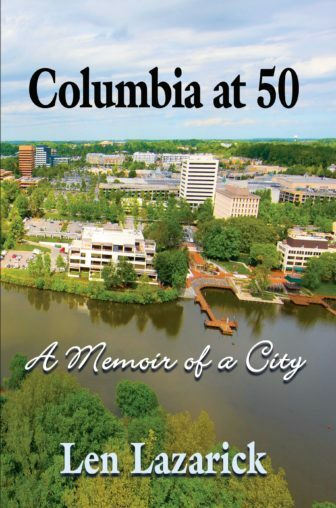 He wants to redevelop the 260-acre site and relocate his headquarters there while expanding his work force from 2,000 to 10,000 people. Plank also wants to create a campus setting for other businesses, shops and restaurants, housing, waterfront park areas, etc. Standing in the way, however, is decrepit infrastructure. Plank, through his real estate arm, Sagamore Development, wants Baltimore City to approve more than a half billion dollars in TIF Tax Incremental Funding, to pay for the infrastructure, to support his $5.5 billion redevelopment plan. At a public hearing last week, Baltimore City Council President Bernard C. “Jack” Young told representatives of Sagamore Development to cut deals with local activists so they could move forward, according to published accounts of the meeting in The Sun and Baltimore Brew. Sadly, it is part of the business world, or at least it is when Maryland’s politicians are involved. The message was clear. The money train was rolling through Prince Georges County and the politicians intended to take everything they could grab. In Curry’s case, however, he was simply making sure that his cash-strapped county was not stuck with the bill. But Baltimore is more brazen. In 2005, then-Mayor Martin O’Malley, wanted to build a convention hotel with city bond money. It was criticized as an attempt to lock-up union support prior to the Democratic Primary election for governor. The City Council delayed the vote because it was opposed by 12 of 15 council members. But O’Malley shrewdly added millions of dollars of “community” money, widely viewed as payoffs to local activists, to drop opposition. The bond bill passed, O’Malley got pre-primary endorsements from key unions, and the city got a Hilton hotel next to Orioles Park that has lost more than $70 million to date. Two lessons can be gleaned from what columnist Barry Rascovar has called, “O’Malley’s Folly.” One is that payoffs work, and the other is that the city should be wary of public funding for otherwise private projects. Promises are not always kept. For example, another O’Malley brainchild was the biotechnology center in the Middle East community of Baltimore. Using $78 million in TIF funding, the City backed a plan by Johns Hopkins University to raze 750 blighted homes to make an 88-acre biotechnology hub. Fifteen years later, however, only one biotech research lab has been built. The state is funding a big park, and a luxury hotel is being built near Hopkins. 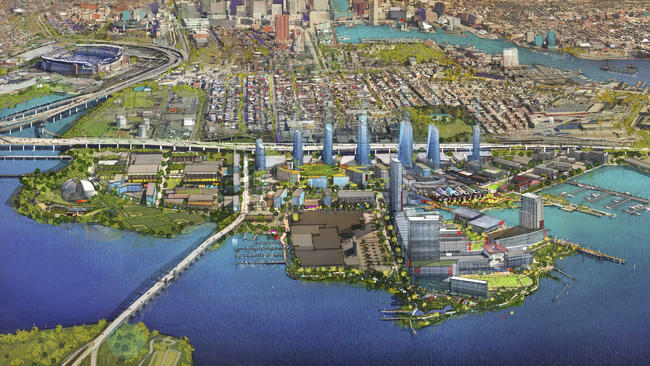 Caution on the Port Covington deal is fiscally prudent. But the strong arming of Under Armour is especially appalling because it is being cast in overtly racial terms, which, in light of the Freddie Gray riots, comes across as racial extortion. An activist from Communities United, clad in a tee shirt emblazoned with a “Black Power” fist said, “We believe Sagamore’s proposal will build a white, wealthy enclave that leaves most of Baltimore out.” Representatives of the NAACP Legal Defense and Education Fund, the ACLU of Maryland, and the Public Justice Center assisted her. These are some of the actors with whom Council President Young says Kevin Plank should cut deals. It is one thing for government officials to use their positions to get the best deal for the government. It is another thing altogether for public officials to require deals with favored parties as the price of conducting official business. Michael Collins can be reached at michaelcollins.capital@gmail.com.